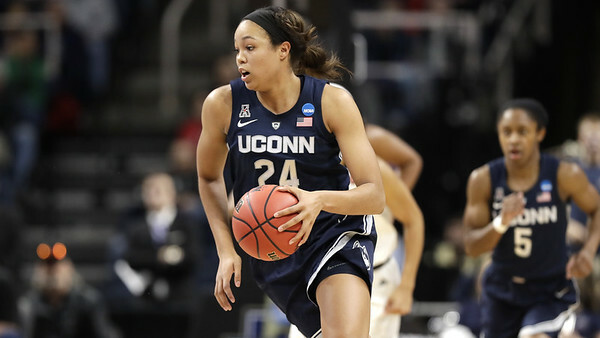 NEW YORK - UConn’s Napheesa Collier has had an incredible senior year so far, averaging 20.9 points and 10.5 rebounds while shooting 61.4 percent during the regular season for the Huskies to earn a spot on The Associated Press women’s basketball All-America team. Collier received the most votes, garnering 27 first place votes from the panel. She is third on UConn’s all-time scoring list with 2,386 points, third in shooting percentage and fourth in rebounding. The senior forward has been snubbed for many of the other major awards, not being named a finalist. She hasn’t let it bother her. “I don’t need the validation, but it’s nice to be recognized,” she said. Posted in Newington Town Crier, UConn on Monday, 1 April 2019 20:34. Updated: Monday, 1 April 2019 20:37.